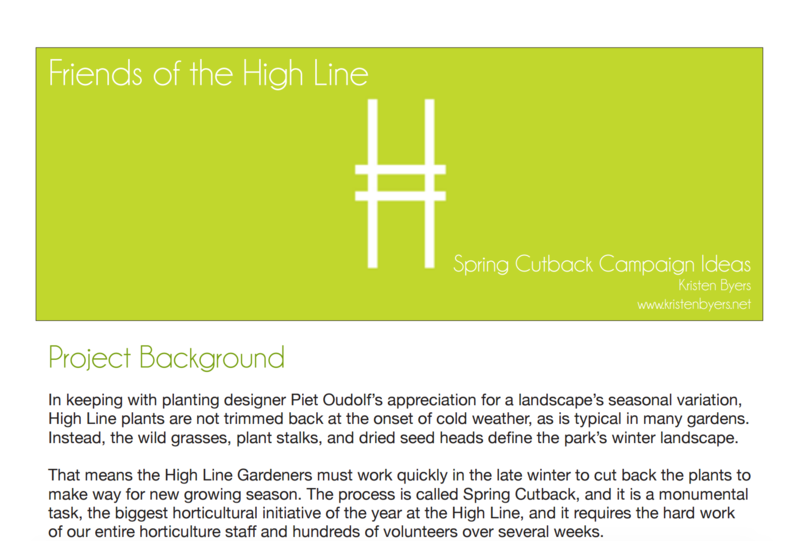 I completed this exercise for Friends of the High Line (FHL) as they prepared for their annual spring cutback. The task was pretty straightforward: devise a few ways FHL can use digital communications to make spring cutback awesome. In this document I detail several ideas for how they could accomplish this.